As a new investor, you may not realize it, but there are limited partnerships that are publicly traded. That means when you call your broker to make an investment, you aren’t actually buying shares of stock. 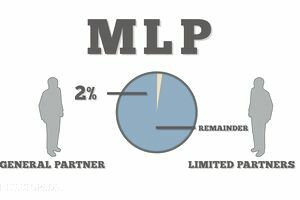 Instead, you are buying “limited partnership units,” or LP units as they are sometimes called. These often have much different tax rules and characteristics than the stocks in your brokerage account or retirement plans so it is important you understand what makes them so special. A master limited partnership is nothing more than a limited partnership that is publicly traded on an exchange. It is sometimes perfect for certain types of businesses because it combines the tax benefits of a limited partnership with the liquidity of the stock market, allowing you to buy or sell your stake quickly compared to privately held investments. The United States Government only allows certain types of businesses to organize as master limited partnerships. Often, you will notice that master limited partnerships are concentrated in the commodities and natural resource industries such as timber, oil, natural gas, pipelines, and petroleum, or in the real estate business. There are a handful of money management firms that are organized as master limited partnerships, including the famous Blackstone Group (ticker symbol BX). The reason for these restrictions is that master limited partnerships establish a contract between the partnership and the limited partners. One of the most important parts of this contract (which known as the “partnership agreement”) is the schedule for QRD’s, which are quarterly required distributions. These aren’t always called dividends, even though they are very similar, because sometimes the money is a so-called return of capital or originates from some other special source and because, unlike dividends on common stock, these payments are mandatory. In almost all master limited partnership agreements, a missed quarterly required distribution constitutes an event of default, just like a company missing an interest payment on bonds it has issued. Businesses owned by master limited partnerships pay no income taxes on the federal or state level. Instead, the profits are calculated for each limited partner and he or she is responsible for paying the taxes that are owed on their portion of the earnings, just like in a private limited partnership. This often means that master limited partnerships have far higher dividend yields than regular common stocks because the money that would have been paid for income taxes are distributed to investors instead. For those in low-income tax brackets, this can be highly advantageous. Cedar Fair, LP is a leading owner and operator of amusement and water parks in the United States and Canada. It trades under the ticker symbol FUN and has a dividend yield of 7.90%, which is far higher than the average common stock. El Paso Pipeline Partners, L.P. trades under the ticker symbol EPB. It owns and operates natural gas transportation pipelines and storage assets in the United States. AllianceBernstein Holding L.P. provides investment management services to institutional, retail, and private clients throughout the world. You will receive a K-1 tax form for your portion of the profits and losses, which you will be responsible for declaring on your personal income tax filing. You can usually identify a master limited partnership by the initials L.P. at the end of the company’s name. If your distributions from master limited partnerships exceed $1,000 per year in a retirement account, you may be forced to pay something known as UBIT or unrelated business income tax. This requires a highly competent attorney with an understanding of the tax regulations. Understanding one of the reasons new investors don't succeed.